It is a useful and convenient means for travellers which will help to discover the “pearls” of the region rich in history, beauty of nature, and cultural heritage of different nations. Here you will be able to find information with photos on forty objects of cultural and natural heritage. On the interactive map you will be able to create individual travel routes or to use the already existing ones, offering to discover the castles and sites of ancient castles, manors and parks, natural heritage, multiculturalism and pilgrimage, as well as culinary heritage. 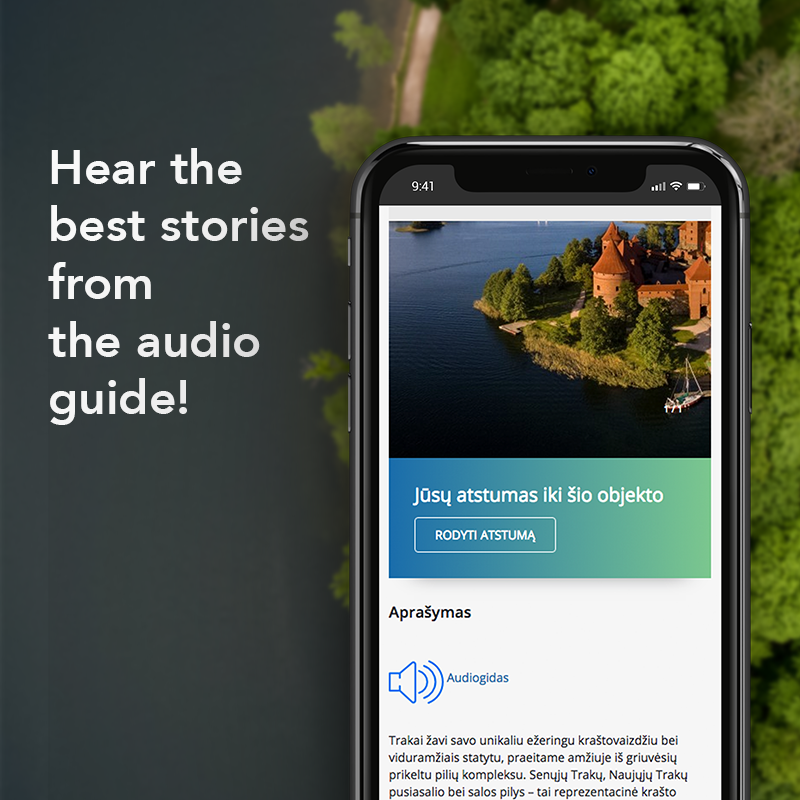 During an independent trip, the audio guide and electronic publications will help you learn about the tourist attractions in more detail. 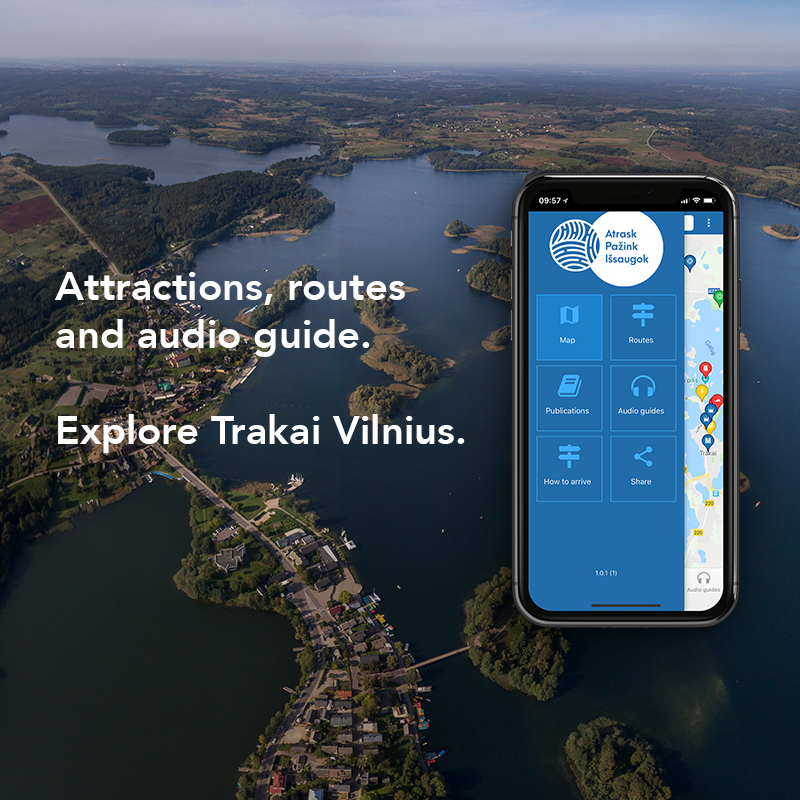 In the app you will also find the links to the website www.exploretrakaivilnius.lt, where more information on the heritage of this region and other information relevant to tourists is presented. For the convenience of travellers the mobile app can also be used in the “offline” mode. 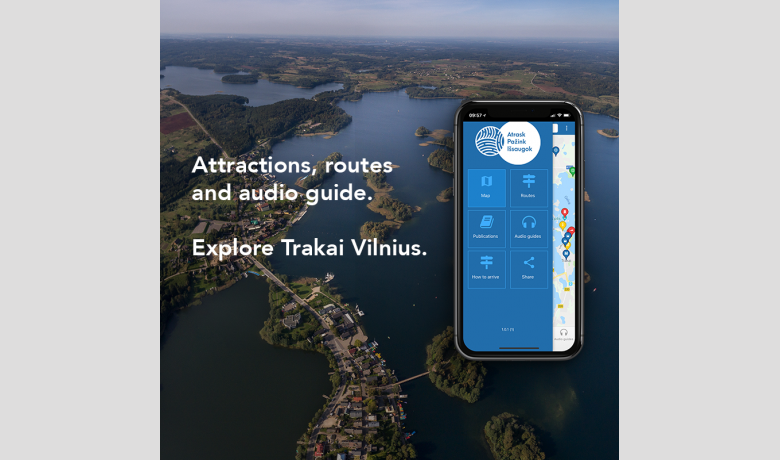 It is also suitable for tourists from foreign countries – the information is displayed in six languages (Lithuanian, English, German, Polish, Russian, and Latvian). Monday – Sunday 9 a.m. – 6 p.m.
Saturday – Sunday 10 a.m. – 5 p.m.